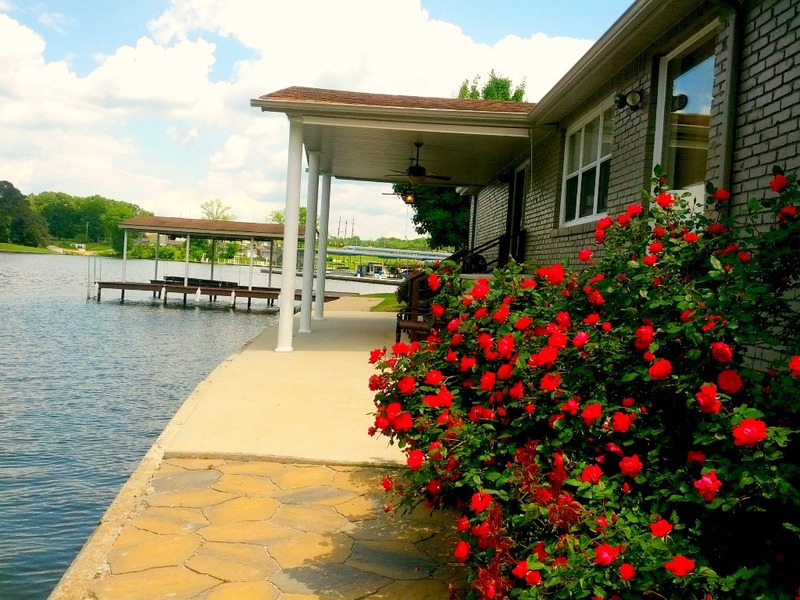 Perfectly located on Shoal Creek at the mouth of Wilson Lake, you will find no other like this. With 250' of waist deep water along the seawall that gradually deepens for swimming and fishing, and a large leveled ground with no slopes or steep steps to the water, people of all ages can enjoy themselves wading in the lake while enjoying the company of others on the bank. We are confident that you will enjoy your time at our totally renovated and updated Shoal Creek Gibbons Home. We are located minutes from town, however you will feel as though you are in your own little world. If you do decide to venture out on the town for a bit or to tour the beautiful places that Florence and the Shoals area has to offer, you will be pleasantly surprised to find everything and every place within minutes of the house. We have tried our best to make our home as comfortable and homey for others as we prefer for ourselves. Most any amenity that you may need or want is available. 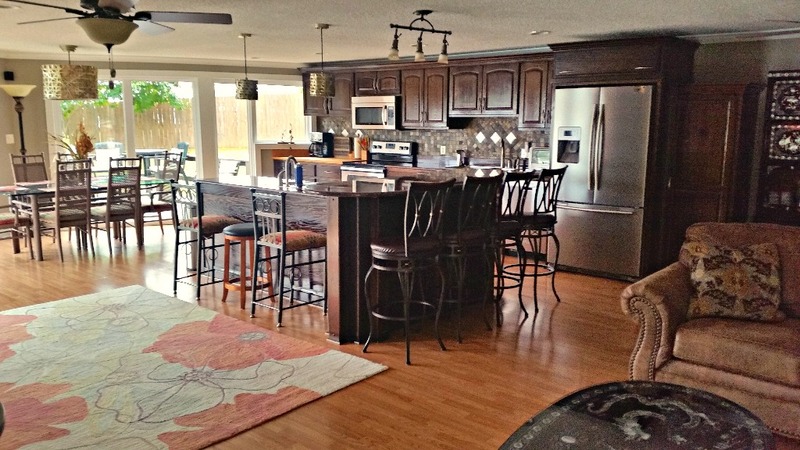 Having two kitchens, plenty of seating, and an open gathering area, our home is not only great for family outings, fishermen getaways, and vacations but also perfect for wedding receptions, family reunions, baby showers, business meetings, small wedding ceremonies, youth group outings, bridal showers, etc. We will also consider monthly corporate/business stays. Nightly rates/cleaning fees may be increased with larger groups. Private pier with boat lift. New state owned/public boat ramp is now open - directly to your right (off the highway) as you enter the street our home is located. The Shoals is also the location documented in the 'Muscle Shoals' movie! TWO NIGHT MINIMUM! Three to five night minimum on certain holidays!! 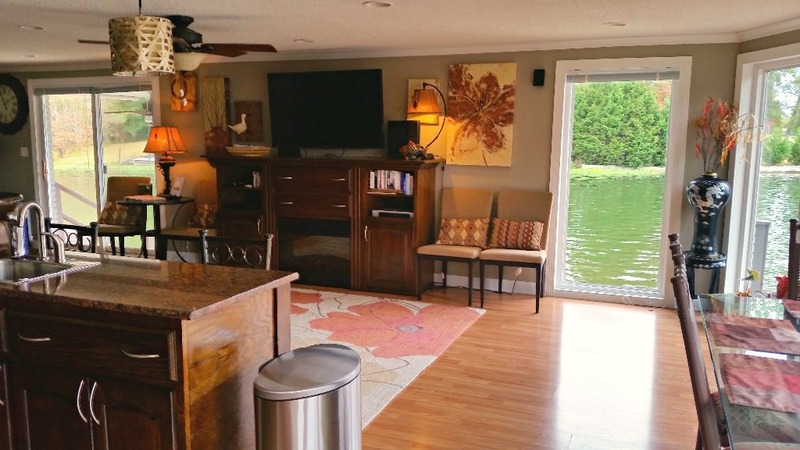 The most unique benefit of our home is most definitely its close proximity to the water. The house is literally inches from the water on flat ground! Another specialty would be the near distance to all restaurants, shopping centers, and many attractions that Florence and The Shoals has to offer! And we must not forget the fish - OH, THE FISH! - Many bass, catfish and others...a/k/a: THE BIG ONE...have been reeled in at the house over the years!  Rental agreement will be sent via email. Signed signature page and deposit will confirm reservation. We are just a couple of the many family members that have enjoyed this special home on Shoal Creek. Keeping with the open house feel that we have all always known and loved, we made the decision to let others enjoy it too! 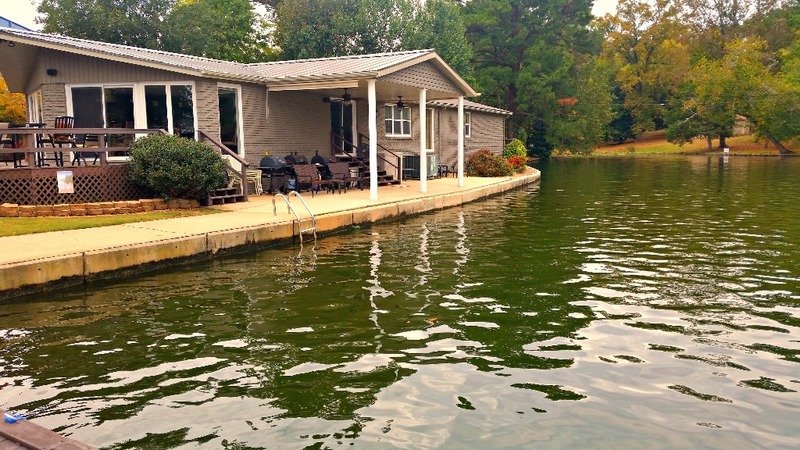 A group of 10 of us stayed in this house while fishing Lake Wilson and Lake Pickwick. The house and guest house are great, there was plenty of space to park all five trucks with boats and the boat ramp was less then 1/4 mile away. The owners of this house were very accommodating. If you have a group going fishing on Lake Wilson I highly recommend staying here. This is a beautiful property run by great owners!! The main house and guest house are both beautiful, peaceful homes located on property that isn't hard to reach or remote, but feels as if you are out in the country on the lake. We had 8 guests for a retreat, and everything was provided for us in the way of linens, kitchenware, and anything else we needed. 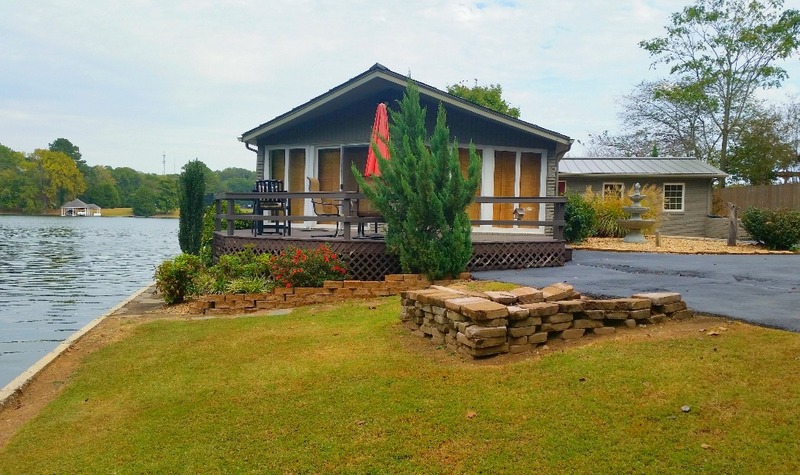 The property is beautifully maintained, and we even enjoyed watching two obviously relaxed fisherman slowly floating by in Shoal Creek for awhile. We came for a quiet retreat, but I can see how this could be a great water recreation site with grilling and family fun as well. The owners are wonderful and were very kind to us, and all of us look forward to coming back when we can. We all highly recommend this rental property! Come watch the birds fly by, fisherman in the distance floating by slowly, sleep in, swim, go out on the water, and make your meals in the awesome kitchens if you like. If we could give them and the property 10 stars we would! Loved it and the owners were very accomadating. Our vacation at the Gibbons Lake House was perfect. We live in Muscle Shoals but usually travel to Smith Lake to gather with family from Arkansas and Georgia. My Mama and Step-Dad are older (83 and 75)- While we love the clear, clean water at Smith Lake, most of the properties are way above the water with steep steps. This house was PERFECT! You can't get closer to the water and can pull right up to the front door to unload! House was very clean, stocked with anything we needed and more. While the fish were not biting that much- we loved sitting on the pier for hours laughing, fishing, and even kayaking! We certainly will plan a trip again. Angela and Bobby are extremely professional and so very kind. 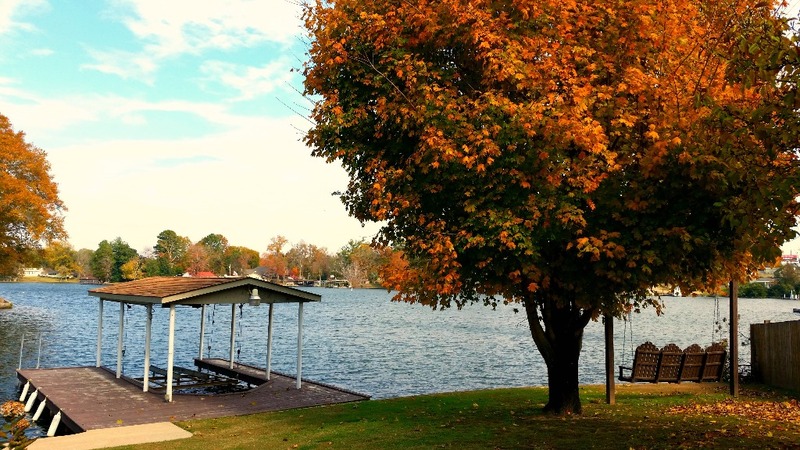 The history of the Gibbons Lake House is special. Thank you again for a fabulous stay- We look forward to our next getaway. Jeff, Carla, and Grace Griffin! Our son & grandson joined my husband and I at this gorgeous home. We were delighted to arrive and find a “goody basket” of wonderful snacks to greet us. The kitchen we used was well stocked. Majority of our time inside was spent in the greatroom where the furniture was so comfortable everyone could stretch out & relax. Angela was excellent to work with and easily accessible to answer all questions. I loved that this home is a ranch, no stairs! So nice to step out to a great view of water and a beautifully manicured yard. Our little dog enjoyed the yard and big shade tree. The men/boys loved the fishing right outside the glass door wall. This home is very well maintained and in a perfect location. We had the best time fishing, kayaking, playing golf and enjoying our time together. Will definitely add this home to our future vac trips. Kids were able to fish, kayak and jet ski right out the back door. This is a beautiful, fun and clean home! We truly enjoyed our stay! The owners were great. They kept in touch with us prior to our stay and were very nice! The house had everything thing that we needed plus more! We will definitely be back! Great location for a getaway! The home is very clean, great location, and the owners go out of their way to make sure you have everything you need for your stay! I would highly recommend and hope to go back for another visit next summer. I have rented vacation homes all over the world and this house has been the best stocked by far. The owners have taken great care of providing all of your needs while in their home. I had my father's 70th birthday party here and I didn't want for anything the kitchen. All I had to do was bring the food. It was a great layout too with the open concept of inside for entertaining. My family loved all the decks which surround the house. and they loved fishing from the dock. My children want to come back and stay longer next time. Every detail of this rental was exceptional. I highly recommend and will be back!! !